As TechRadar reports, Microsoft has spent the summer on a Surface-related hiring spree. 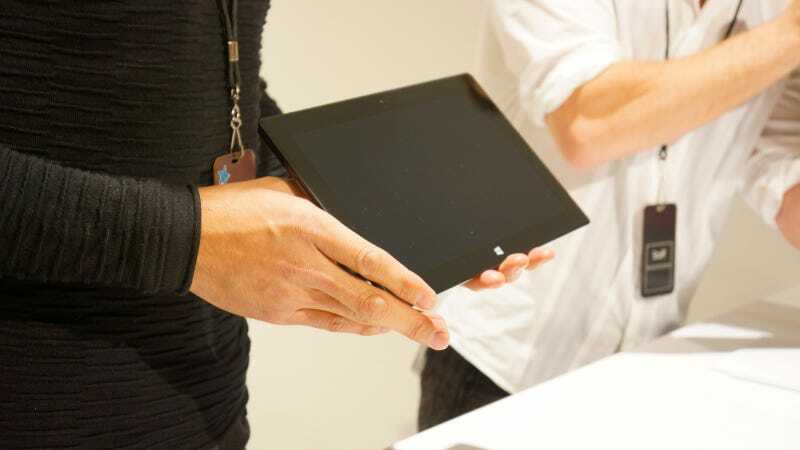 And while that indicates that the company is already moving ahead with its Surface 2 plans—which isn't remotely surprising—it could also tell us a decent amount about Surface itself. It's easy to read too much into the hiring tea leaves; if anything, the fact that Microsoft is staffing up tips nothing more than its commitment to making its own hardware. Which, while still notable, isn't particularly new. But by looking at the kinds of people Microsoft is looking for, we can guess haphazardly about what Surface future and Surface present might hold. Looking to the future, an expert in "finishing processes such as paint, plating and PVD" is sought; as TechRadar notes, PVD (Physical Vapor Deposition) can be used to waterproof a device. But then some job listings touch on potential areas of vulnerability for the current Surface. The search for an "alternative power sources" leader is vague, but could suggest that Microsoft's not totally content with its tablet's battery life. Similarly, the hunt for someone who can conquer "passive and active cooling thermal designs" tips that concerns about Surface Pro's fan living up to the task might be well-founded. Or maybe—just maybe—the crew of the USS Surface is growing because Microsoft's ambitions are greater than just tablets. Maybe these good people are coming onboard to work on Surface phones and Surface laptops and Surface anything else that will make OEMs cry.